I know it's old news, the upcoming Target & Missoni Collaboration, I know. However the full look book, that is semi-new news! I just saw the full 400 items this past weekend - after we've all seen just a few of the leaked items! I was anxiously awaiting the release, however after looking I am feeling slightly under whelmed. Not sure about any of the clothing items. It was very hard to tell, especially since most of the models were clad in more than 2-3 items in one shot - So I couldn't really tell what was there. A few items did make it to my short list, and I hope to snag these. The blanket and cocktail set are at the top - I just hope that isn't a kids or baby blanket....cuz I wasn't into the others and there was no description. Overall, I am sad this was a semi-miss for me! And if I had need, or room for another bike - how fun is she?! Were there any items, after seeing, that you are going to be first in line for??? And don't forget it will hit stores Sept 13th! It's hard to tell from the look book pics, but I'm hoping out of a 400 piece collection, there's bound to be some good pieces. Now if they ever arrive at any of the Target stores remotely close to me is another question. Just looked at the lookbook, my eyes hurt! The flats are super cute, hopefully I can get those. There was short or skirt I liked. & the home/stationary things were cute. The bike too. I'm hoping that's a throw blanket, too and not some baby item but I really want that. I might do a pillow or two depending on how the colors look IRL. that bike is redic! i want it! i really want a scarf too...super worried the chicago target stores will sell out super fast. xoxo jillian:: don't miss my fishs eddy dish giveaway! Seriously can't wait. 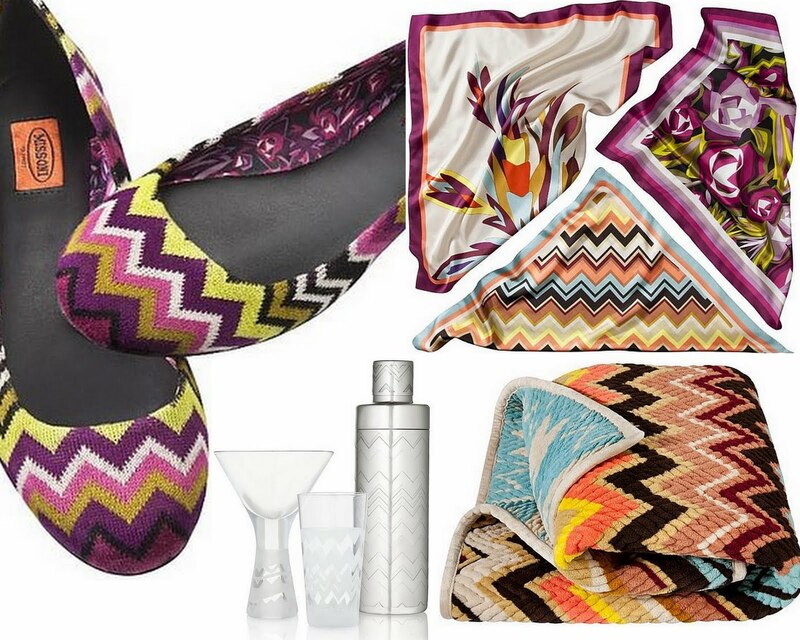 I love so many things...those flats and that blanket are both on my list. I have yet to see those cocktail accessories and I am absolutely in love! That bike is amazing! can't wait! I am planning on getting some Christmas gifts from this amazing collaboration. great post! I'm with you - not sold on the clothing but interested in the scarves and home products! 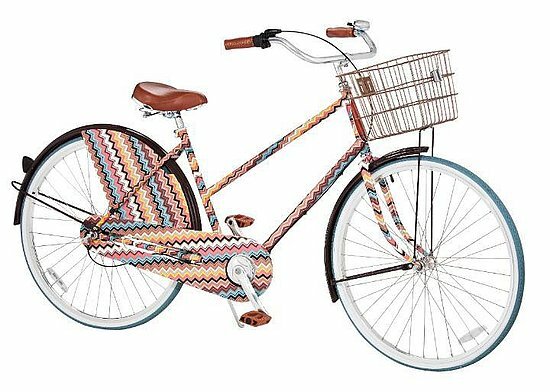 omg so cute look at that bike !!! Are you going that day? I'm going...we should get a group together. My missoni post is in the works. Had to take a break bc of my stupid finger. From what I saw with the lookbook, there are a few pieces that I like. I would tone them down and match them with some solids and use these pieces as accents. I think that there will be a few pieces that will come home with me! But I HAVE to see a lot of the things before buying. You made me a bit more apprehensive with comments. Eeek! I love the flats. They're super cute. Will it be available online? I hope so! I love those sweet little flats, and the blanket is phenomenal! That is a sweet bike! I got in a bike accident when I was 9. Day after Christmas got a brand new Huffy. I was all excited. Then I ran into a stop sign and had to get stitches in my lip. I haven't ridden a bike since, but this makes me want to ride again. I'd like to know the cost. there's a little sweater dress that I saw...will be in line for sure!